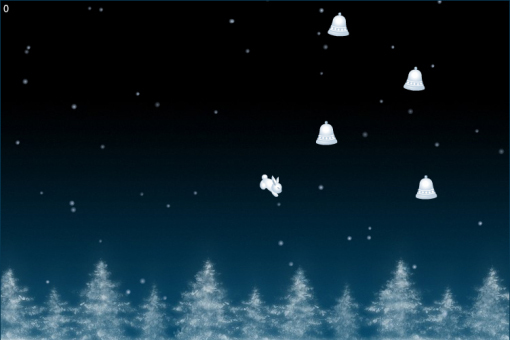 My friends introduced me to this game called Winterbells, and I want to share it with you as well. The game’s rules are simple. You will assume control of a cute little rabbit and jump from bell to bell (and the occasional bird to double your score). But be warned, this game is very addicting, as you aim for a literally skyrocketting score. I recommend playing this game when you’re bored from work or fed up with assignments. It is will help soothe you, what with the mild snow, the white bells, and the adorably cute rabbit. The soundtrack is not bad either, so check it out. Ooops! My bad. Anyway, hope you liked the game! pls winterbells SOUNDTRACK name ? I really have no idea on the title of that sound. I suggest you record it on your computer, or find a way to contact Ferry Halim, the game creator. Wow, there you go, deniz.